Fresh from a tour of the Rhineland, Taplow Girls' Choir will be bringing a programme of solos, ensembles and full choir pieces with music from the 16th century to the present day. Works by Vittoria, Handel, Mozart, Britten and Paul Simon will be among the choral mix. 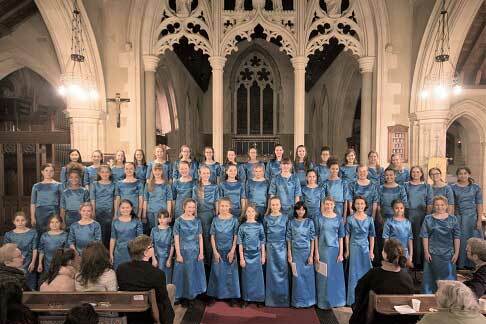 There are 45 girls in the choir, aged 10 to 15, drawn from a wide area around East Berks and South Bucks and admitted to the choir after audition. Sunday 13 May, 7.30 pm. At Christ Church URC, Oxford Road, Marlow SL7 2NL. Tickets £10. Concert in support of Christian Aid.